A prominent downtown building's namesake once threatened a Spokane newspaper editor at gunpoint. 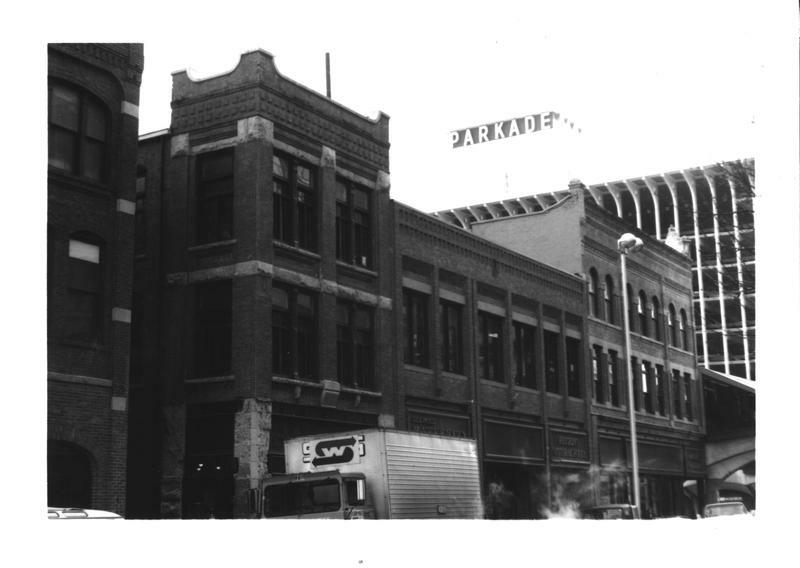 Today’s Bennett Block is comprised of what were once three distinct buildings: Bennett Building, constructed in 1890; Lockhardt Building, constructed in 1890; and the Star Hotel Building, constructed in 1892. They were built after the great fire that destroyed most of downtown Spokane in 1889. These buildings housed a wide variety of unique businesses, including the Snow Shoe Saloon (1899), William Carroll Cigars and Tobacco (1900), a Japanese restaurant (1901), the Angel Contos Shoe Shining Parlor (1925), and the A-1 Drug Company (1929) to name a few. The three buildings became one property in 1928 when a Spokane real estate developer, John G. F. Hieber, obtained the trio of buildings and decided to turn them into a single property. The building’s namesake, Bascomb H. Bennett, first arrived in Spokane to work as a cashier at the Bank of Spokane Falls. 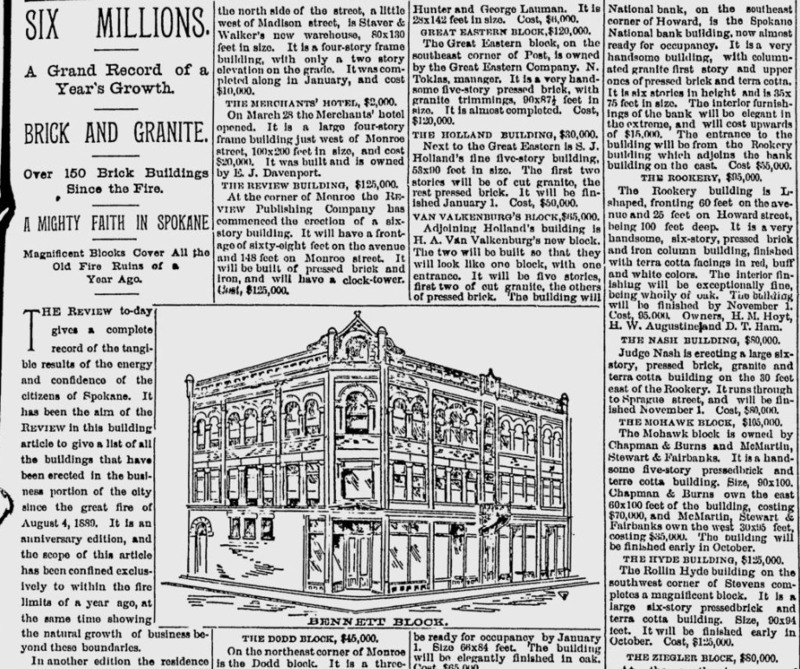 This bank was owned by a prominent resident of Spokane, Anthony M. Cannon. Bennett secured his place in Spokane society by marrying Cannon’s daughter. Once he had gained some social standing, Bennett began managing both the Arlington and the Grand Hotels in town. He became one of the richest young men in Spokane, and after the fire of 1889 Bennett decided to construct his own building. 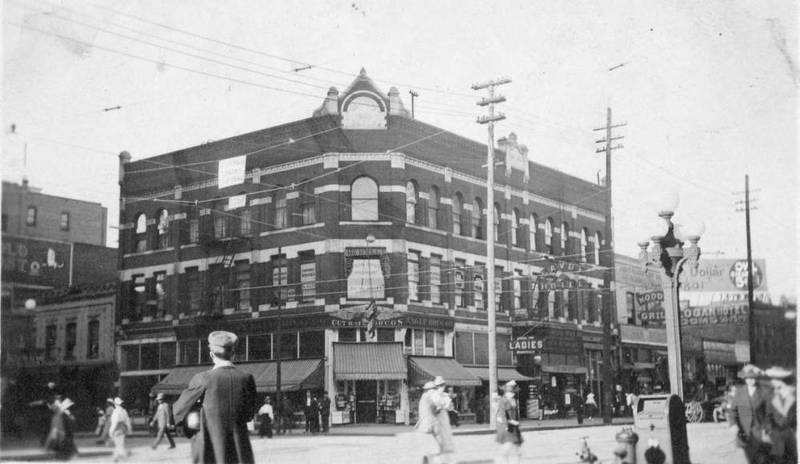 Early Bennett Block: At the turn of the century, Bennett Block occupied one of the busiest intersections in downtown Spokane. ~ Source: Courtesy of the Northwest Room, Spokane Public Library. Drawing of Bennett Block: A newspaper clipping from the Spokane Falls Review in 1890 shows a sketch of the plans for Bennett Block. This drawing is taken from an article outlining new plans for buildings in downtown Spokane after the 1889 fire. ~ Source: "Six Millions," Spokane Falls Review. August 5, 1890. Bennett Block Today: A view of the west side of Bennett Block in more recent times. ~ Source: Courtesy of the Washington State Digital Archives. Katherine Enders, “Bennett Block,” Spokane Historical, accessed April 19, 2019, https://spokanehistorical.org/items/show/696. Popejoy, Don and Penny Hutten. Early Spokane. (Arcadia Publishing, 2010). 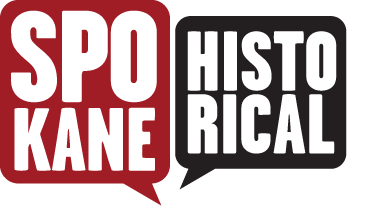 From the Spokane City/County Historic Preservation Office website. “Spokane Register of Historic Places Nomination Bennett Block,” available at http://properties.historicspokane.org/_pdf/properties/property-2080.pdf. Spokane Falls Review. “Six Millions. A Grand Record of a Year’s Growth,” August, 5, 1890. Available at https://news.google.com/newspapers?nid=dHRcJqc9SEQC&dat=18900803&printsec=frontpage&hl=en. The Spokesman-Review. “Bennett Block,” June 2, 2014. Available at http://www.spokesman.com/then-and-now/bennett-block/.